Nancy Kulp was not your every day “working gal”, she was a woman of many parts. She was an aspiring politician, linguist, teacher, actress, publicity professional, and one given to many charitable works. Many in Hollywood described her as the most homely actress to ever grace the big screens. She was well learned and possessed a Master’s degree in both French and English Language. She also loved watching football. Though she never won any major awards in Hollywood, her works in the industry still speak for her till today, long after she has gone. Nancy Kulp was born on August 28, 1921, to Robert Tilden Kulp – a salesman who travelled a lot; Marjorie Kulp, a school teacher, who rose to the peak of her career and became a principal. Her mother’s passion for teaching must have been passed on to Nancy, as she also became a teacher at some point in her life. Nancy was born in Harrisburg, Pennsylvania in the United States of America. Sometime in 1935, Nancy’s family moved to Miami-Dade County, in Florida. Her desire was to work as a publicist for Hollywood stars, but she was persuaded to become an actress herself and she went on to flourish at it. In 1943, Nancy graduated from Florida State University, which was known then as Florida State College for Women, with a Bachelor’s degree in journalism. She then went on to the University of Miami, where she obtained her Master’s degree in French and English languages. 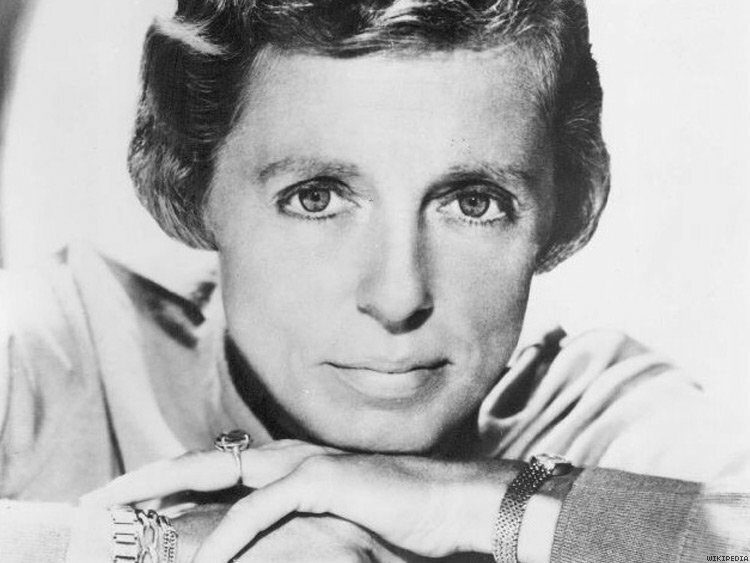 In 1990, after a very fulfilling career in Hollywood, Nancy Kulp was diagnosed with cancer and received chemotherapy treatment. By 1991, the cancer had spread across her body and she passed on February 3, 1991, in Palm Desert, California. One of her most notable roles in Hollywood is as “Jane Hathaway” in The Beverly Hillbillies, for which she received a Primetime Emmy Award nomination in 1967. Nancy Kulp worked with the democratic state committee in Pennsylvania for a few years. In 1984, she became the Democratic Party nominee for the United States House of representatives from Pennsylvania’s 9th congressional district; her opponent was the incumbent and Republican Party candidate, Bud Shuster. Her district was largely dominated by Republicans. When Nancy’s political aspirations became known publicly, one of her co-stars on The Beverly Hillbillies – Buddy Ebsen, contacted the campaign group of Nancy’s opponent, and he agreed to make a radio campaign, describing her as being “too liberal”. After the election, she garnered a total 33.6% of the ballot cast in her district, while her opponent garnered 66.4% of the ballot; thus Nancy lost the election. She was pretty upset with her Hillbillies co-star, Buddy Ebsen, and told friends and families, never to mention his name anywhere around her. She never participated in any other elections again. After the political defeat at the polls, Nancy Kulp returned to her first love – the academia and worked as an “Artist-in-Residence” at Juniata College in Huntington, Pennsylvania. She also taught acting while at this school. She put her journalism degree to use in the early 1940s when she was a writer with the Miami Beach Tropics newspaper. She wrote profiles on celebrities – including the Duke and Duchess of Windsor, and Clarke Gable. In 1944, during the Second World War, Nancy Kulp left the University of Miami to join the female wing of the United States Naval Reserves. The efficient discharge of her duties while with the Naval Reserves led to her receiving many commendations and decorations – including the American Campaign Medal. She also rose to the rank of lieutenant, junior grade. In 1946, after two years of meritorious service to her fatherland, Nancy was honorably discharged from the Naval Reserves. Nancy Kulp, in her lifetime, was married once. That marriage was to a rather mysterious man named Charles Malcolm Dacus. They wedded on April Fool’s day of 1951 and ten years later were divorced in 1961. Kulp was very private when it came to details about Daucus who was later plagued by gay rumours. Kulp, in an interview in 1989, also got people thinking that she could be a lesbian. After Nancy Kulp retired from her teaching and acting jobs, she relocated to Palm Springs, California, and decided to give herself to a more worthy cause. She got very much involved with many charity organizations such as “United Cerebral Palsy”, “Desert Theater League” and “Humane Society of the Desert”. She devoted her time, connections and means to help these organizations achieve their goal, and have an impact on the environment, as well as people’s lives.